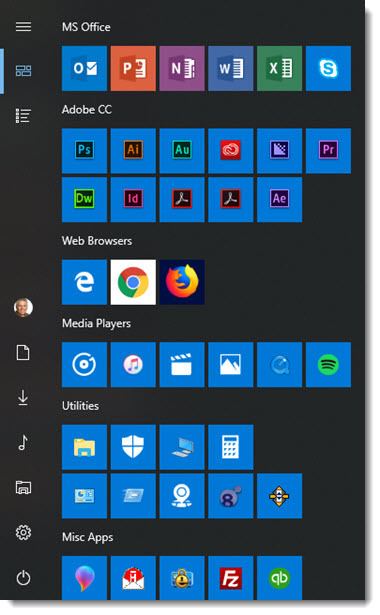 The Start Menu is one of the most noticeable changes with Windows 10 vs previous versions. It took a few versions – mostly merging Windows 7 and Windows 8 into a working start menu! Another recent small improvement is good know about as it adds some detailed information that went missing (a common comment I have about the Mac OS is that all makes sense if you know how a Mac works, but starting fresh a number of icons and settings make no sense). One the start menu, note the far left column is just icons. These are great for keeping the features handy while minimizing space. If you are not certain what the icons represent, click the 3-line icon at the top. The left strip expands to show the full names of each feature (see the April 5, 2018 post on customizing what features are in the left strip). 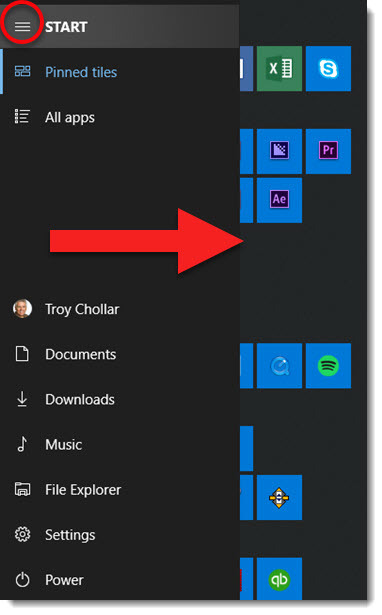 What’s On Your (Windows 10) Start Menu?